We have today launched three limited edition beers to urge the nation to take their stance on the EU debate. The beers aim to ignite the conversation among Britain’s undecided masses and encourage them to vote in the referendum this June. The beers are all pale ales, taking on distinct qualities from each side of the argument. The first: In, is fruity and hoppy and strongly influenced by the continental attitude, while the second: Out, is light ale with bold hints of Euro scepticism and a dry bitter finish. Finally, for the undecided voters that exist in their millions: IDK, a mellow and malty pale ale, with a complex and thought provoking finish. Ten million Brits either don’t know or don’t care enough to sit either side of the political fence ahead of the referendum in June. 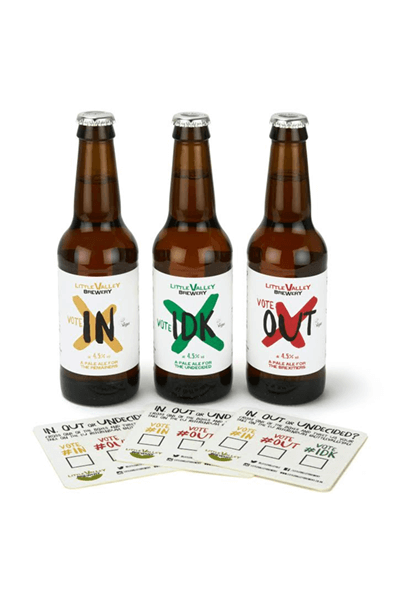 Designed to target the UK’s apathetic voters each beer takes a different spin on the debate to allow drinkers to have their say. We’re encouraging drinkers to select their beer, make their vote using #IN, #OUT or #IDK, and share it with the world on social media in a bid to get the country engaged with what will be a historic decision. 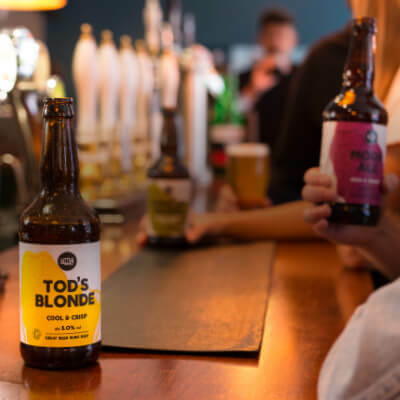 The beers are available in various independent pubs, bars and shops across the nation in both bottle and cask. 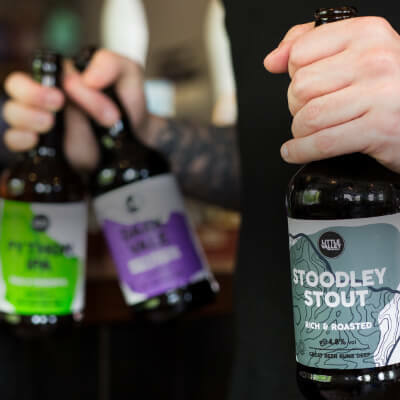 For those looking to buy locally they can be found in Oasis in Hebden Bridge and Nip and Tipple in Manchester – for any trade enquiries you can also get in touch with us directly at the brewery. 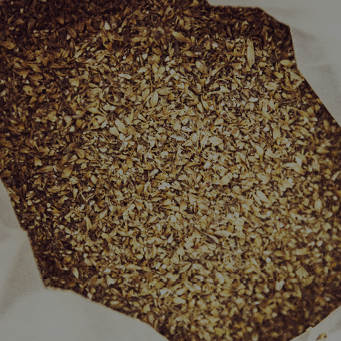 You can also get hold of them via wholesalers including Pivovar, Flying Firkin, Small Beer Wholesaler and LWC Wholesale. In the run up to the referendum, we will announce our alternative opinion poll based on which beer has proven most popular, to make a prediction on the future of our country. We know that a lot of people might not be planning to cast their vote in this debate, most probably because they simply don’t know enough about it. We want to get the country talking – it’s something we feel incredibly strongly about and will definitely be voting to stay when the time comes. I’ll drink to that but – damn – I live in Holland! Haha you’ll have to make a trip over to Yorkshire to pick some up! What an interesting concept and approach to opinion polling! 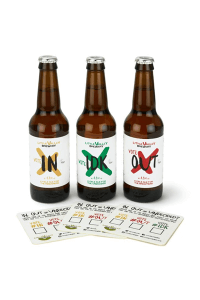 Do you have any outlets in south Yorkshire/ north Nottinghamshire for the bottled trio? Thanks! You can get them Archer Road Beer Shop in Sheffield, best to give them a call beforehand and make sure they have them in stock! Alternatively, just give us a call and let us know whereabouts you are and we’ll see if there is anywhere else nearby.